If you have already seen another practitioner, Dr. Vopal will be happy to review your diagnosis with you, in-person or over phone/video conference, to offer a second opinion. 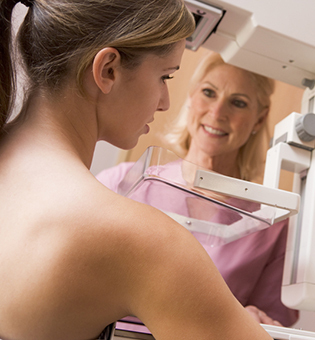 A breast biopsy is often necessary after a suspicious lump is detected on the breast. Various methods may be utilized to extract tissue samples from the lump and the surrounding area, which are then sent to a pathology lab to determine whether or not it is cancerous. Ultrasound is an excellent way to evaluate breast abnormalities detected by mammography, the patient or Dr. Vopal, but in some cases it is not possible to tell from the imaging studies alone whether a growth is benign or cancerous. The relatively new vacuum-assisted breast biopsy is a percutaneous (through the skin) procedure that relies on stereotactic mammography or ultrasound imaging. While the specific cause of breast cancer is often unknown, a certain number of women may be genetically predisposed to developing this disease.